This listing is for one hand crocheted coffee cozy that has an embellishment attached to the front. 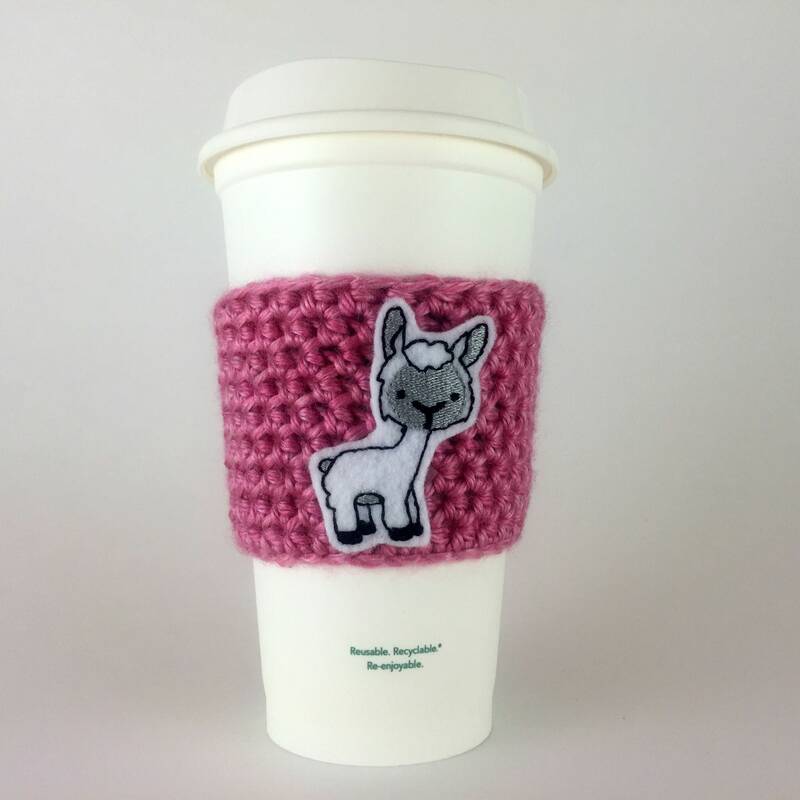 Our eco-friendly mug warmers are the perfect accessory to your hot or cold beverage. They protect your hands from hot coffee cups and even helps keep the moisture on summer drinks under control! They also make a great gift for a coffee or tea lover ...just add a pound of coffee beans or a gift card to a local coffee shop! • Fits most standard hot/cold take-out cups in small, medium, or large sizes. Item is pictured here on a standard medium cup. •Please allow up to 3 business days for your item to be made and shipped. •If you would like a different color, refer to the color chart and select your choice from the drop down menu. •Spot clean with a mild detergent as necessary and lay flat to dry. ***Have any questions or special requests? Click the "contact store owner" link below for any questions! ***Follow me for exclusive specials, updates and behind the scenes! Great quality and fast shipping. Designs are great! Hand wash cozies with warm water and soap on problem area. Lay flat to dry.